1 OWNER, NO ACCIDENTS, FACTORY WARRANTY UNTIL 3/20/2019! EXTREMELY RARE & FULLY OPTIONED 2015 MASERATI GRANTURISMO MC WITH FACTORY AERODYNAMIC CARBON FIBER PACK ($2800), CARBON FIBER HOOD EXT. ($3,800), INTERIOR CARBON PACK EVOLUTION 1 ($1,800), INTERIOR CARBON PACK EVOL IV ($6,100), CARPET PIPING ($100), 20'' MC MATT GRAPHITE ALLOY WHEEL ($800), STITCHING FOR INTERNAL AERAS ($475), RED COLOUR BRAKE CALIPERS ($850), 4.7 LITER V8 ENGINE, CARBON FIBER PADDLE SHIFTERS, NAVIGATION, AUXILIARY INPUT, 1 OWNER, NO ACCIDENTS, CLEAN CARFAX, $170,795.00 WINDOW STICKER!!! PRICED TO SELL!!! 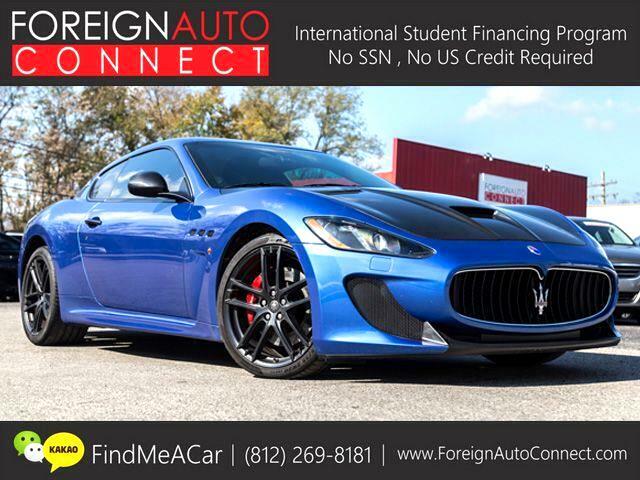 Message: Thought you might be interested in this 2015 Maserati GranTurismo.